The Los Angeles Raiders in the NFC West could be entertaining and exciting. The Oakland Raiders and San Diego Chargers have proposed a shared $1.78 billion stadium in the city of Carson, California that would bring two teams back to the L.A. area. On Monday, former 49ers and Browns executive Carmen Policy said that the Chargers and Raiders are willing to let the NFL decide who goes where, if they both go to L.A. 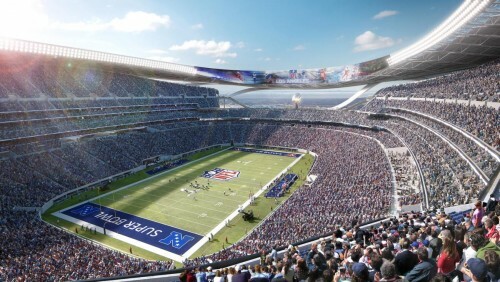 The teams have made clear to the league and NFL owners that “you send us to LA and you’ll make the decision as to who plays in what conference or division,” Policy told reporters after detailing stadium plans for business leaders and a sports group at an event in downtown Los Angeles. “There are some very interesting scenarios, depending on how all this turns out,” Policy said.